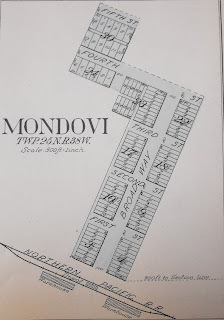 From "The 1912 Standard Atlas of Lincoln County." 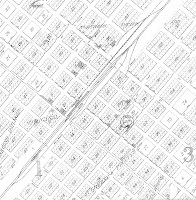 For a current peek, here is a link to Google maps. 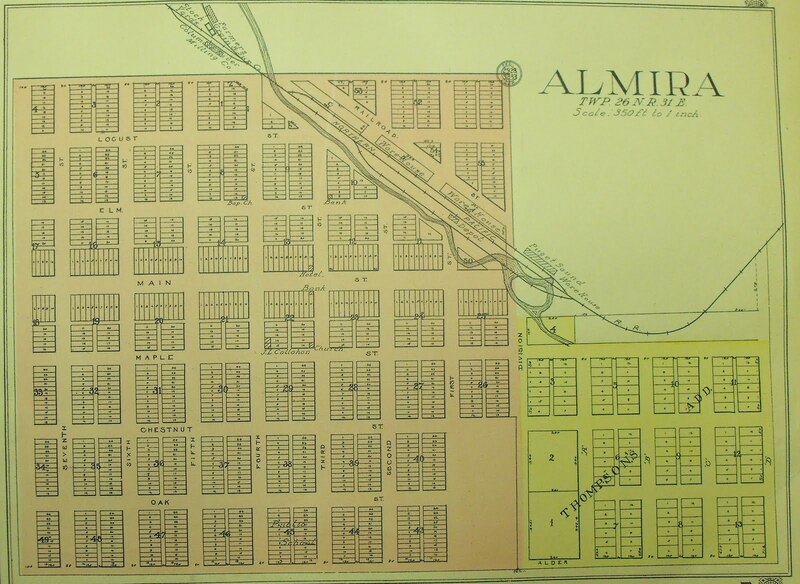 From the "1912 Standard Atlas of Adams County." Undoubtedly if this property had been bought earlier, money could have been saved, but if we remember aright, you and we had one or two conversations about it and we both felt that it was undesirable to disclose undue anxiety. Later, the aggressive attitude of the Canadian Pacific, as you remark, led you to advise us to make the purchase at a relatively high price, which we did, entirely concurring in your own opinion. Four. Washington and Columbia River. Number 23, Wall Street, New York City, N.Y. ...It was considered by your legal advisers the part of wisdom to get all claims for rental and leased lines against the old Northern Pacific out of the way. This applied to the Seattle and International and to the Washington Central as well. Earlier action in regard to the Seattle and International would certainly have saved the Northern Pacific a large sum of money. When your house advised me as to the plan of the Canadian Pacific for buying it, I wired at once advising its purchase and offering, if necessary, to join the Northern Pacific in such purchase. The Central of Washington, being leased to the old company, the same conditions apply to it as to the Seattle and International, and it rightly came under the lines covered by the London Agreement which we were to discourage, etc. As regards the Washington and Columbia, I think it was unfortunate that Mr. [Edward Dean] Adams [interim president, Northern Pacific], or whoever was to notify the Navigation as to the Northern Pacific’s desire to purchase it, did not do so in a manner to avoid any cause for complaint of not fairly carrying out the terms of the protocol, which has unfortunately existed from that time to the present. The business of the Washington and Columbia was always turned over to the Northern Pacific at the junction, and Mr. [A.L.] Mohler [of Navigation] assured me more than once that he did not intend or expect to disturb the relations in that regard. On the whole, I am sure that the Northern Pacific has suffered much more loss than it gained, because of the uneasy feeling of distrust and want of confidence created in the minds of the [Navigation] and Union Pacific people. I have always endeavored to heal this breach, as I felt sure that unless an agreement was reached, both lines would suffer, and, in the end, it might result in our being compelled to build both into the Palouse Country and to Portland, where there was already enough lines to do the business and more railroad capital invested than can be maintained in such an event as I have described. As to my advice to Mr. Coster to acquire control of the Washington and Columbia, kindly bear in mind that this was before the date of the protocol under which certain agreements were made as to that property. ...The extension of the line of the Central Washington. 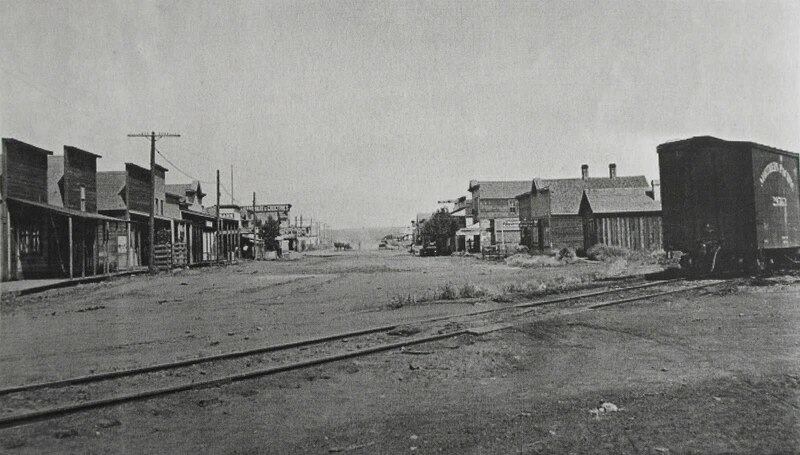 ...But a few days ago, Judge [Wiliam D.] Cornish, of the [Vice-President] Oregon Short Line, told me that Mr. Mellen had made strong efforts to get control of the Union Depot property at Spokane, which is now used by our company and the [Navigation], giving as his reason for desiring such control, that while the "Northern Pacific did not want the property, he knew that we did want it, and he was going to make it cost us the highest price he could." I do not usually pay much attention to such statements, but Judge Cornish is a man of undoubted character and veracity, and Mr. Mellen’s statement to him certainly was unwise; and not such as our relations to the Northern Pacific entitle us to expect. 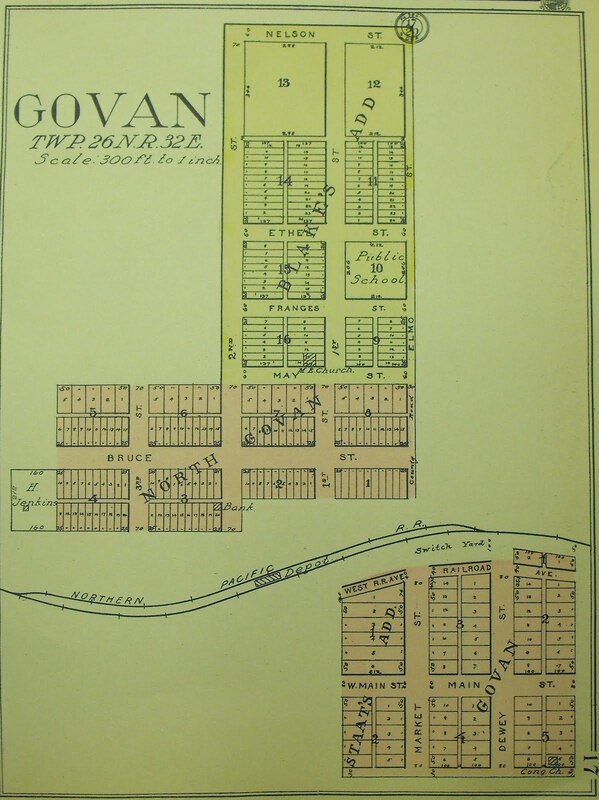 The attempt to overreach us in the matter of our land at Seattle was shortsighted, the only effect of which, as far as we are concerned, was to destroy any reliance with might place in his professions of friendship, or wish to preserve good feeling and harmony with our company. Thanks to John Phillips III for filling in the names. 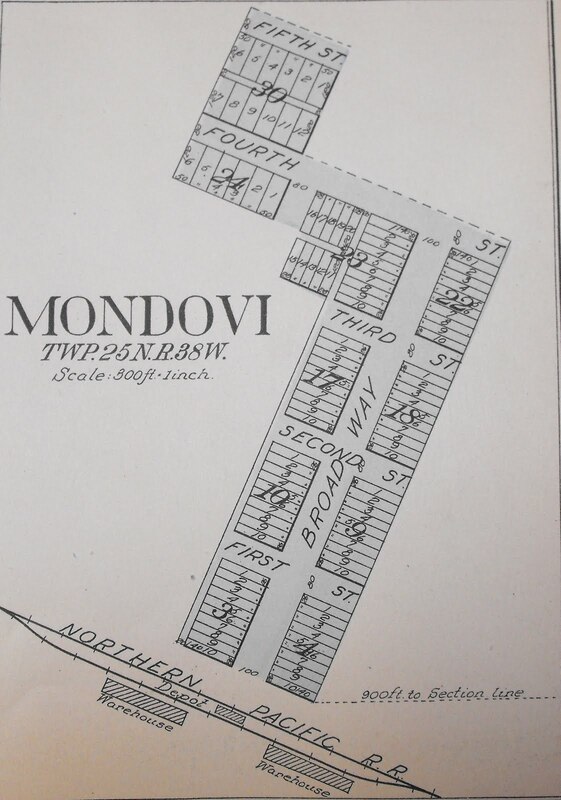 From the "1912 Standard Atlas of Lincoln County." From the "Wenatchee Daily World." A tattered and torn pocket Bible found among the wreckage along a railroad track where E.R. Zirker of Mae met death in a crossing smash at noon Tuesday provided a funeral text. The Bible was first noticed by Howard Light, Arden Farms truck driver, who called a reporter's attention to it. The accident occurred at 12:02 pm Tuesday at the Milwaukee branch line crossing on PSH 18 about 10 miles east of Moses Lake. It was the first traffic fatality of the year in North Central Washington. 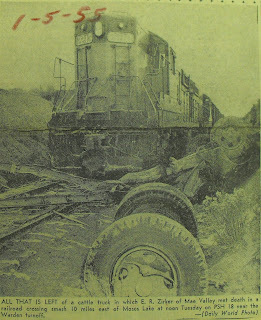 Zirker, 49, driving a 1954 flatbed truck with 10 head of calves on the truck, drove right into the front of the diesel locomotive and ten freight cars. Zirker was thrown clear from the cab and hurled about 45 feet, and apparently was instantly killed. The truck, which was reduced to a splintered mass of wreckage, was carried 775 feet down the track before the train could be stopped. Engineer Walter Krause, Malden, and Conductor H.R. Freeman, Malden, said the train was traveling about 26 miles an hour at the time of the accident. The crossing is protected by flashing light signals and visibility is good in both directions. The road was dry. The train was going south and Zirker, driving a truck belonging to his brother, John E. Zirker, was driving east. Members of the train crew and State Patrolman Larry Linnell who investigate the accident were at a loss to explain the cause of the accident. Coroner Robert S. Campbell Jr. and Deputy Coroner Paul Klasen of Ephrata also assisted in the investigation. The truck was totally demolished, $100 damage was done to one of the railroad signal lights, and $300 damage to the locomotive. Zirker's brother, John E. Zirker, who lives about two miles from the scene of the accident, was called to the wreck and identified his brother. The body was removed to the Eccleston and Coy Funeral Home in Moses Lake. Zirker is survived by three children at the home, and by two brothers, John E. Zirker, Moses Lake, and Julius Zirker, of Mae Valley. 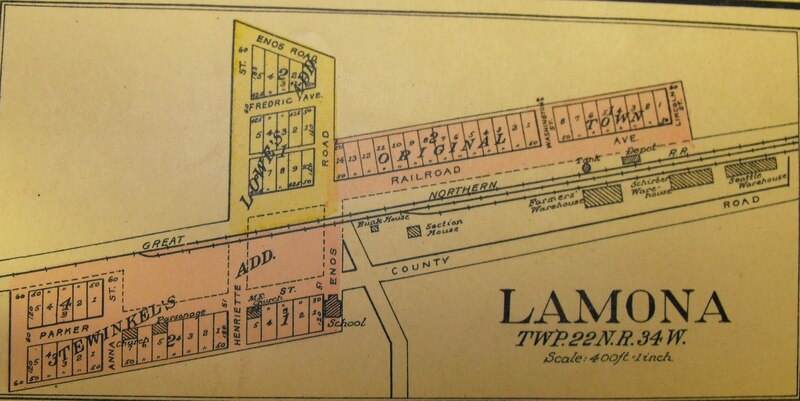 Sam Doran, the popular agent of the Great Northern at Ephrata, announced today that the company has decided to put in electric lights and install a telephone for the convenience of the patrons of the railroad company. Compare to the shots seen in the Difference of Decades post. The Great Northern Oriental Limited, westbound, ran into an open switch and collided with a work car standing on the siding when pulling into Wilson Creek at 10:15 Monday. The baggage car left the track and the work car was wrecked but the engine and remaining cars stayed in place. Edward Campbell, conductor, Spokane, sprained ankle, arm and wrenched back; M.E. Barrett, Spokane, breakman (sic), leg and back injured; Louis Arbogast, roadmaster, Wilson Creek, internal injuries; George Pegouis, laborer, leg bruised; Nick Mikos, foreman, head and arm bruised; Sam Asheros, laborer, broken leg; John Dama, laborer, internal injuries. A passenger, J.W. Stetson, pulled the bell cord which applied the air brakes as soon as the collision occurred, which kept the cars on the track. The Ephrata volunteer fire department had two fires delivered to them shortly after 11 o'clock Sunday night. Two hot boxes developed on a boxcar of wood pulp and a flat car of lumber, 15 cars apart, while an eastbound freight was switching the Ephrata yards. The Great Northern freight crew did some fast switching, cut out the two cars and shunted them down the main line to a spot near the depot, just across the street from eh Ephrata fire station. Flames from the overheated journal on the lumber car had licked up to chips below the load of lumber and were crawling up the side of the stacked lumber. "The fire was shooting six feet above the top of the car by the time we got here," a trainman said. Employes at the depot saw the flames and called the fire department as the cars were brought down the line. The hot boxes were on opposite sides of the two cars. The fires were extinguished with only minor damage to the two cars, which were later sidetracked for repairs. A passenger train scheduled for 11:15 was late. Otherwise, traffic would have been delayed for about half and hour. 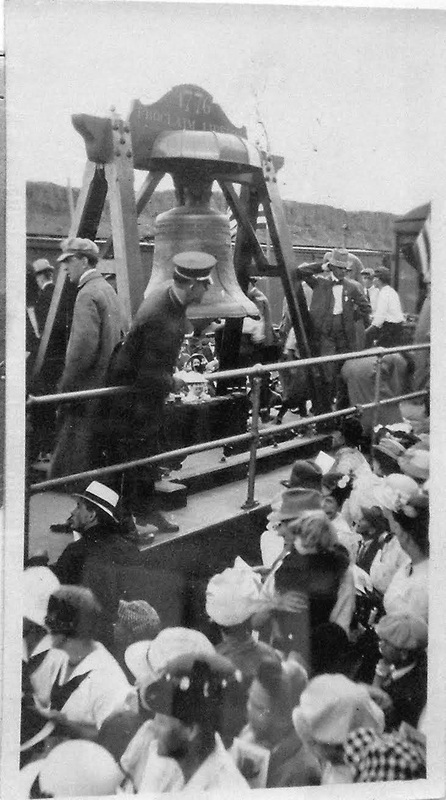 The Liberty Bell traveled through the area on its way to Seattle back in 1915. See photos of it in Harrington and Ephrata. 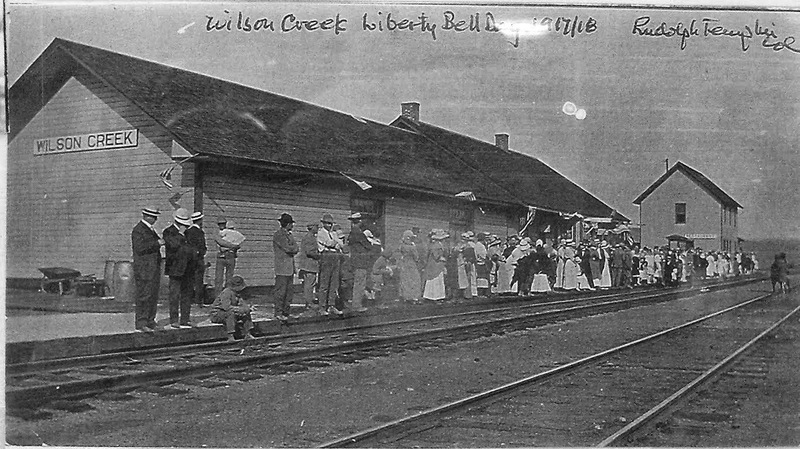 Photo of the bell being rung while at Wilson Creek. Photos courtesy of Wilson Creek Mayor, Kathy Bohnet. 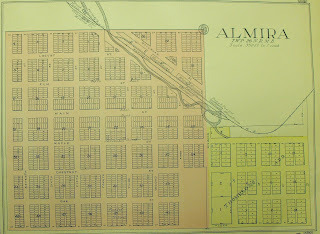 From the "Standard Atlas of Adams County." 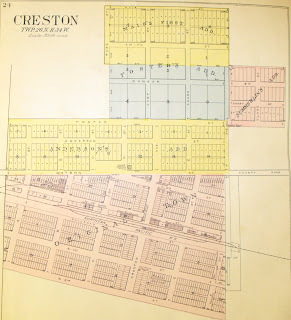 Of note is the railroad being the Chicago Milwaukee & Puget Sound, but land ownership by the Northern Pacific dated back to the checkerboard land grant which gave the NP alternating sections of land for 40 miles in each direction of its line.